I added a new page, Teeshirts, to this site. It joins my other pages: Reading, About Me, and Quotes to Make You Think. It documents my teeshirt collection from sites like Thinkgeek, Woot, and Threadless. 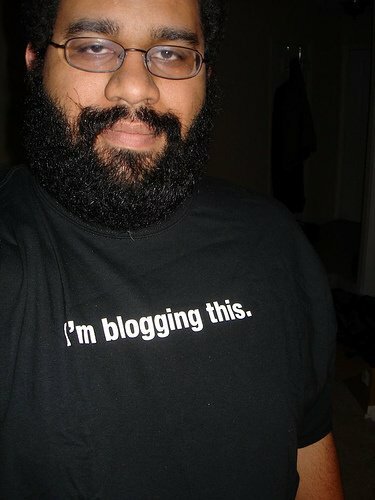 Yes, I already track my shirts with photos tagged with the term “teeshirt” on Flickr or Teeshirts I Own Pinterest board. Unfortunately, people do not seem to use Flickr much anymore. So much like Reading which is a page on my blog duplicating what I am doing with Goodreads, I’ll occasionally update the local blog version. Found outside Romano’s Macaroni Grill in Tallahassee, FL. My best guess is a Broad-Winged Hawk. I went outside and tried to get another better photo. Without glass obscuring my presence, he or she was very much aware of my presence. I could not get close enough to take a better photo. I probably should have posted this at the end of the year. Oops. Anyway, here are my most interesting photos for last year. Sets for 2009, 2008, 2007. Luckily, I have the post for the 2011 equivalent of this post pre-scheduled for Dec 30, 2011. I imported all my LiveJournal posts here. Other than posting pictures to there from Flickr, I don’t really use LJ anymore. I rarely even read my friends’ blogs there. Too bad. I still have the teeshirt. If you have any entries on LiveJournal which are marked as private, they will be password-protected when they are imported so that only people who know the password can see them. If you don’t enter a password, ALL ENTRIES from your LiveJournal will be imported as public posts in WordPress. Password protected seemed better than not, so I set a 30 character long password, and the form accepted all 30. When the password didn’t work, I logged in as the administrator user and looked at Publish > Visibility > Password protected Password. Turns out WordPress only accepted the first 20 characters. The box here also takes 30 characters until it is saved which only takes the first 20. In my opinion, web forms in general should prevent the user from entering more characters than the application or database will take. Passwords are very exact, so forms for creating them definitely should not allow extraneous characters.